The Institute of Plastics Processing in Industry and the Skilled Crafts at RWTH Aachen University once again invites representatives of the plastic films segment to attend its conference entitled "Film extrusion – Trends in raw materials, processing and applications", which will take place in Aachen on 20 - 21 November 2018. Experts from research and practice will discuss the latest developments in film production. The conference will be chaired by Dr. Volker Pfennig from Bischof + Klein Holding SE in Lengerich. Regulatory requirements and matters of recycling and sustainability are moving more and more into the focus of attention for the films segment. 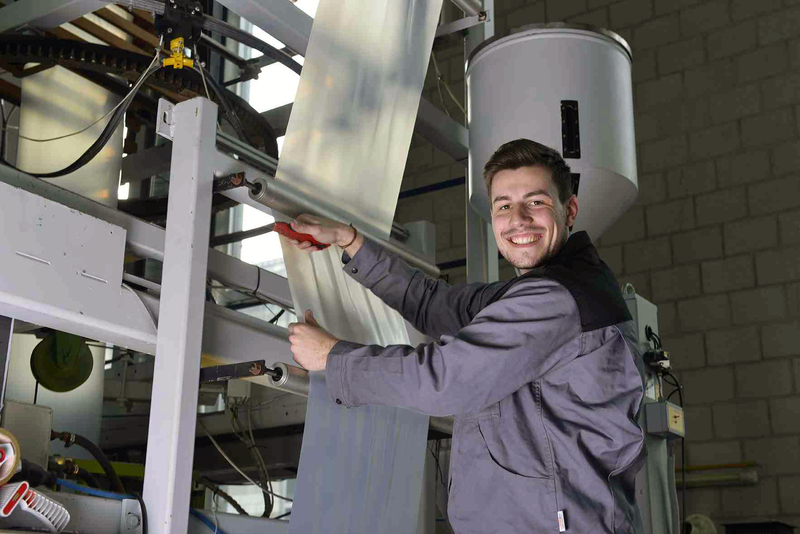 The question of greater sustainability and material efficiency is affecting not only film manufacturers but also machine construction companies and material producers. To improve productivity, the choice of the right plant and machinery concept plays a key role, and increasing digitisation is of major importance for optimising operational processes. The various papers and presentations at the conference will therefore be devoted to the following topics: Sustainability, productivity improvement & quality management, Industry 4.0 and general trends and challenges with packaging film. Contributions from the industry on the issue of sustainability will come from European Plastics Converters (EuPC), Basell Polyolefine, Windmöller & Hölscher and the EREMA Group. The topics of productivity improvement and quality management will be covered by Kuhne, Netzsch-Gerätebau, Pixargus, RKW and Topocrom. Representatives from atlan-tec Systems, IBM Research, Reifenhäuser Digital and the VDI will talk about the subject of Industry 4.0, while the latest trends in packaging film will be discussed by representatives from Berndt & Partner Business Consultants, Bischof + Klein and the Schreiner Group. Three presentations from IKV will deal with ongoing research in these fields. During the visit to the IKV pilot plant for extrusion and rubber technology, the delegates will be able to further discuss the various research topics. This tour and the conference dinner will offer an additional opportunity for further discussion and for cultivating the network. The conference is aimed at developers, users and decision-makers in the plastics film industry.